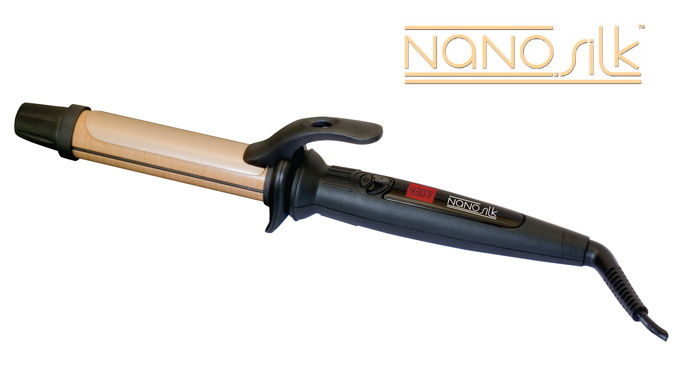 Create smooth hydrated curls with incredible shine and staying power with the TurboPower® Nano SilkTM Curling Iron. 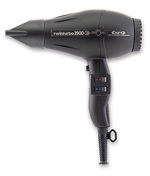 The Nano Silk surface distributes heat evenly for consistent long-lasting curls. 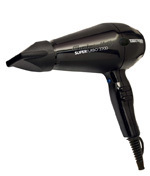 – Extra long cool tip helps prevent hair damage and burning. – Digital color changing display. – Adjustable temperature from 265º to 430ºF. – 1.1 inches diameter barrel. – 8’ (2.5 m) extra-long swivel cord with hang loop. – Auto shut-off after 60 minutes. © 2019 Turbo Power Inc. All rights reserved.